Starting gear 840 item level. Player vs. 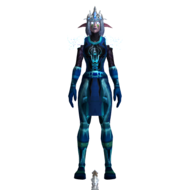 Player templates are enabled world-wide. Starting Hubs for Alliance and Horde. Custom vendors with faction flavored rewards. World - Player vs. Player. Unique one vs. one type matches. Server player vs. player events, and Gurubashi Arena daily quest. Portal Master, Npc that teleports the players to a given location. Global duel zone with cooldowns reset feature. Cross-realm battlegrounds and arenas with Sylvanas. Current Legion pve content such as dungeons and raids are disabled. Before, we provide you the information and the release date of the realm. Many of you may have questions, which is why we provided a Frequently Asked Questions about the realm below. 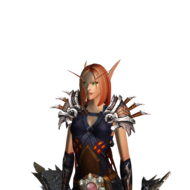 Q: Can I transfer my characters from Sylvanas to Greymane? A: No you cannot, and you’re not able to transfer from Greymane to Sylvanas. 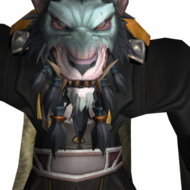 Q: Can I sell my character on Greymane in the Character Marketplace? A: Yes, but there are some limitations, requires the character to be 870 item level or above and they can be sold/bought only within Greymane. Q: I found a bug on the server, what should I do next? A: Please report the bug to our bug tracker! Q: I found someone breaking the rules on Greymane, what should I do? A: You can report them via the forums and the player will be dealt with appropriately. We reached the end of the pre-season. We will be giving rewards for this pre-season but only for 3s and rated battlegrounds. They will be processed in a similar way retail does, top alliance and top horde (requires 50 games played on 3s). Gladiator: Top 0.5% and 100 Firestorm gold points. Duelist: Top 3.0% and 75 Firestorm gold points. Rival: Top 10.0% and 50 Firestorm gold points. Challenger: Top 35.0% and 25 Firestorm gold points. Increased item level to elite 875 with a weekly reward 880. Rewards matching Legion Season 1. I personally think that AP should not be a factor in PvP and that the only thing that matter is skill.You should just give everyone and item that gives you 100 Mil AP so everyone can have 54 traits and get to PvPing instantly. And how do we get ilvl? I must agree with this. Just that? You will give us 840 gear, you said all in max on FS birthday, ALL. The PvP with Sylvanas will be disbalanced with 840. 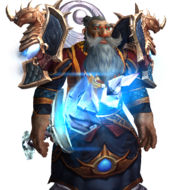 Give us itens 895 on NPC and DO NOT merge the realms. Or give us min 855 ilvl. yep, just like that, if u get more cr = u get better ilvl. its about having skill. Skill? But on Sylvanas guys have 890 ilvl on rated arenas! How do we win that with 840??? 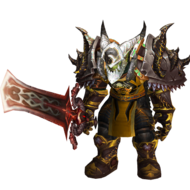 on instantiaded pvp the ilvl really dont matter, if u have 35 traits and good ilvl artifact weapon, u will stick the same as 890 ilvl guy. Guy, please, are you speaking serious? i won team 880+ ilvl whit random alter 850, yes, i speaking serious. Ah, so you can do it? Congratulations? Can you prove? Im 886 ilvl and i destroy 840 lows so ez in instantied on *2V1*!!! 2 lows vs me and i win that. 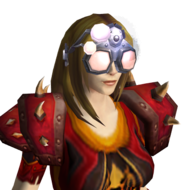 More one question, we wont get the mythic RAID apperances for tmog? i really did expect ur congrulation but ty anyway, i just answer u to the ilvl dont matter but if u dont believe me, its okay. And not, we dont get raid apperances for tmog, is only pvp server. Guy, if an 840 have 35 traits, the 890 have 50. Vive us minimum all traits wth. you get 1% overall stats per 10ilvls! December 18th, 2017, there is no off season.